Facebook Users! 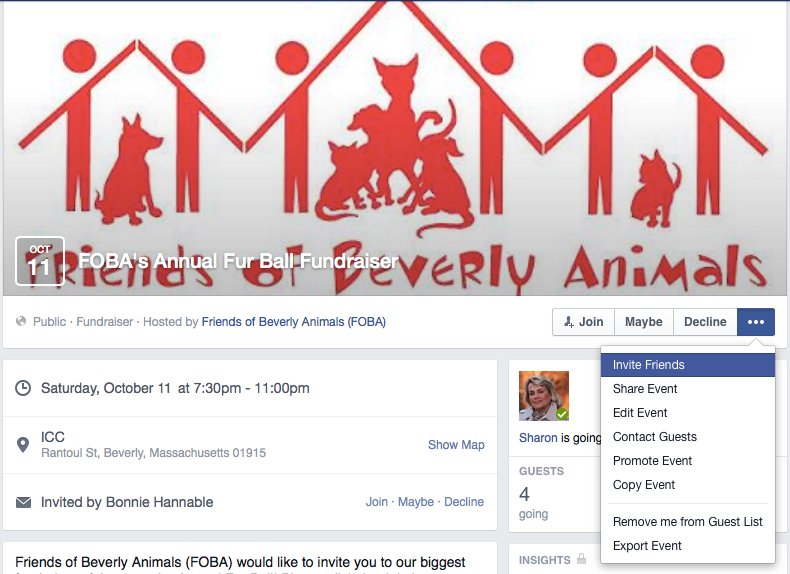 You can help us promote the FOBA Fur Ball by calling attention to its event page on Facebook. 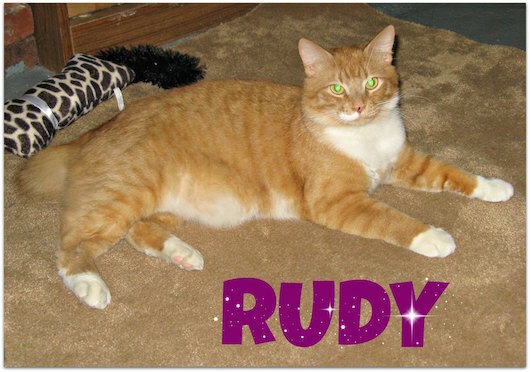 Send your Facebook friends an invitation to the event. It’s easy to do and takes only a couple minutes. First go to the FOBA Fur Ball event page here. 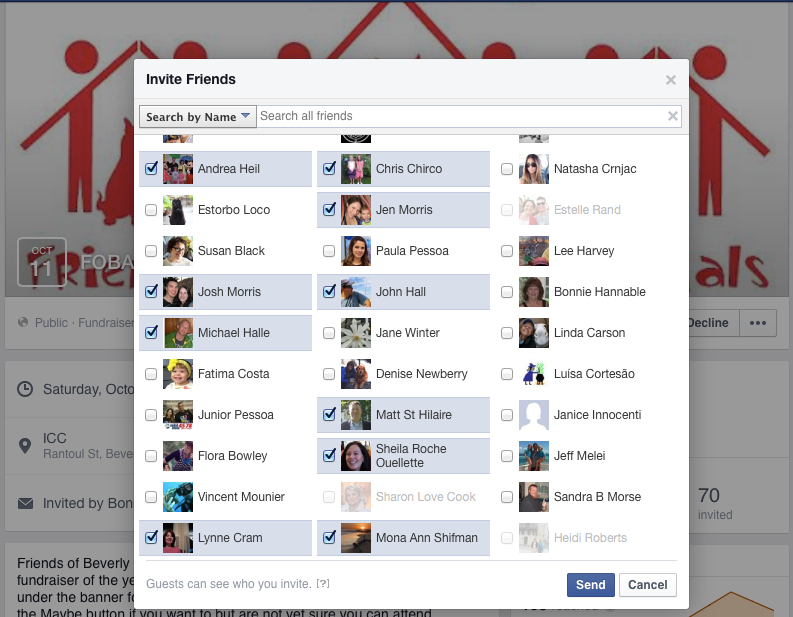 Click the box labeled “•••” and then click “Invite Friends” as shown below. This will bring up a list of all your Facebook friends. Just check off the friends you want to invite, and then click the blue “Send” button, see below. Friends that have already been invited will be listed in grey type, so you will not be able to check off their names and you do not have to worry about flooding these popular folks with invitations. That’s it. Easy! And thank you for helping us spread the word.